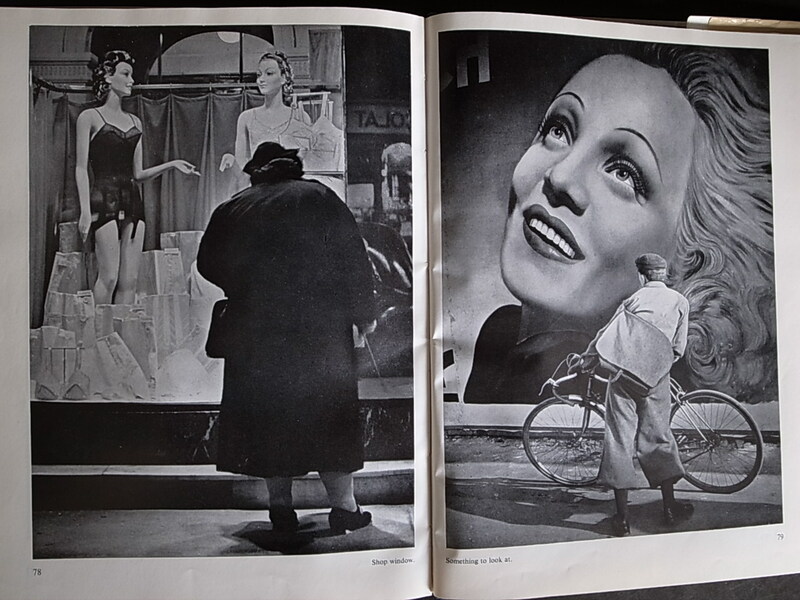 The massive billboard painting of the film star Marlene Dietrich, seen in Paris in 1937, was unquestionably something to look at, and this may be what the man with the bicycle is doing. But his stance is ambiguous. 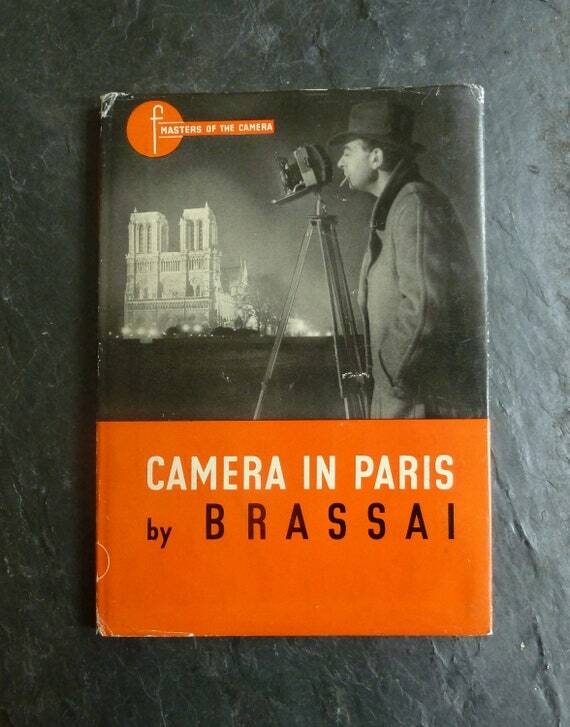 Brassaï’s framing posits a connection between cyclist and movie icon, yet perhaps the fellow just happened to be waiting there for some reason when the photographer came along. If we follow his sightline, he appears to be looking in the direction of Dietrich’s monumental chin rather than staring up at her with adoration. He may be a fan, who never misses one of her movies—that year it was Angel and Knight without Armour (a flop)—or he may be indifferent. As so often with photographs, even pictures that have an imposing clarity of surface, like this one, we are left with a conundrum that can never be unraveled. Either way, this is a picture preoccupied with celebrity and its grip on public consciousness, an intoxicating 20th-century distraction that became our all-consuming reality and obsession. The cyclist is a proxy for the movie-going audience in thrall to the gods and goddesses of the silver screen, and Dietrich emblematizes the entire star system at a time when the superhuman mystique of the chosen ones was at its most intense and irresistible. Her photo-realistically rendered beauty and charisma are spellbinding. She has a preternaturally vivid presence on the street and the image of her face is close enough to touch, despite the chasm of experience between the cyclist’s mundane world and her Olympian existence. In sultry, femme fatale publicity photographs, Dietrich’s lips rarely part, but here she is made to smile rapturously, although the blob in the corner of her eye appears to be a tear, adding a soupçon of ambivalence to Brassaï’s image. It takes a little longer to notice the hair, which is less well painted and looks stuck on and fake. In the photograph as it’s printed in Camera in Paris, the cyclist’s shoes can be seen. Elsewhere, the picture is presented as it is here, with his legs chopped off above the ankles. Was this crop Brassaï’s later decision? It takes away the man’s groundedness and some of his detachment, and pitches him forward into the screen idol’s tractor beam.